Tuned Global, a leading mobile engagement company using music as key content, has announced today that it signed an agreement with Japan’s leading music streaming service LINE MUSIC, to beef up its music catalogue in a short timeframe. After Omnifone’s closure, LINE, a world-wide messenger service was on the lookout for an experienced music technology company with strong music label relationships, robust and highly scalable platform to ingest millions of tracks quickly to delight their global MAU (Monthly Active Users) 220 million users of LINE MUSIC in Japan. Tuned Global has been the preferred partner with its proven track record in fast delivery and strong capability to execute digital music solutions, having worked with reputable brands like Samsung Mobile, News Limited, Universal Music, Coles and JB Hi-Fi . Tuned Global has transitioned all its systems to the cloud with Amazon Web Services and used this highly scalable infrastructure to collaborate rapidly with LINE MUSIC’s engineering team. “We have the best-in-class resources to integrate using a powerful platform. We know that if we are to succeed in this music streaming innovation era, we need to have a unique offering to our partner that will enable them to execute faster in a seamless manner”, Con Raso, MD of Tuned Global, explained. Tuned Global built a technology called Intaga to allow them to administer all aspects of catalogue management. Through Intaga, Tuned Global is able to ingest massive volume of incoming files from record labels and deliver content in the appropriate format to LINE MUSIC. Tuned Global has recently ingested many millions of tracks over a 24-hour period, its systems scaling automatically to achieve the time frame goal. This process would haven taken 30 days to finish in the past - it is unique in the industry. Tuned Global does not only meet the requirements for this project, from collaborating with multiple international record labels for rights management, to the technical competence to deliver quickly, they also gave LINE MUSIC confidence that communication lines are always open to manage day-to-day operations with full transparency. Indeed, Tuned Global has commissioned a local representative to help understand the Japanese business culture and nurture a long-term relationship with LINE MUSIC Japanese executives. 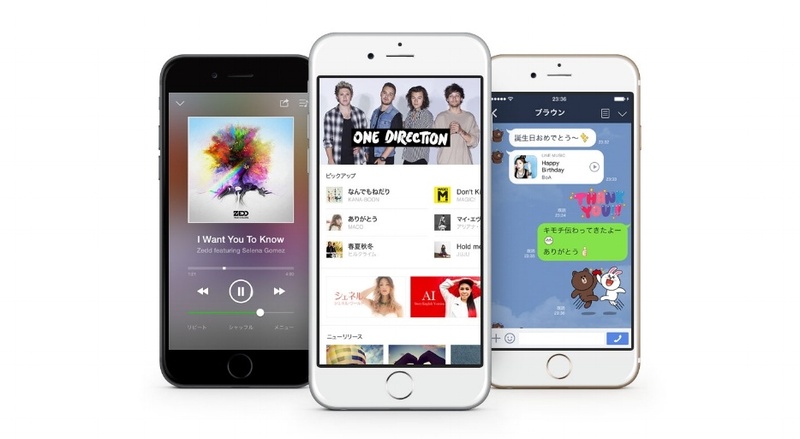 LINE MUSIC is integrated into Japan’s #1 instant messaging service LINE. Users can effortlessly send music or playlists directly to friends or groups on the LINE app’s chat screen or share them on their Timeline. Songs sent by users in the LINE app can be played inside the app’s chat and Timeline screens. LINE is at the forefront of merging channels to bring communication and entertainment services closer together to users, offering a revolutionary mobile experience. “Tuned Global is excited in not only helping LINE MUSIC achieve their content objectives, but in the future also being able help the LINE business grow via our solid market experience and mobile engagement technologies to drive customer engagement through music”, Con Raso, MD of Tuned Global, concluded.